Sailing the magnificent waters around Mackinac Island will be the highlight of your vacation. 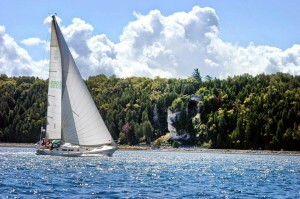 You can enjoy an afternoon or evening of the tranquil beauty and romance of Mackinac Island from offshore. Cruises can be 2 hours or 4 hours duration. Amenities may vary based up your desires. Cruises will be custom tailored to your personal tastes.